I never asked to be a baseball coach. As you might recall (see “A New Beginning,” Mendon-Honeoye Falls-Lima Sentinel, April 27, 2017), baseball and I have had a strange – and sometimes strained – relationship. You could understand my reluctance to agree to play the part of assistant coach for my son’s T-Ball team. 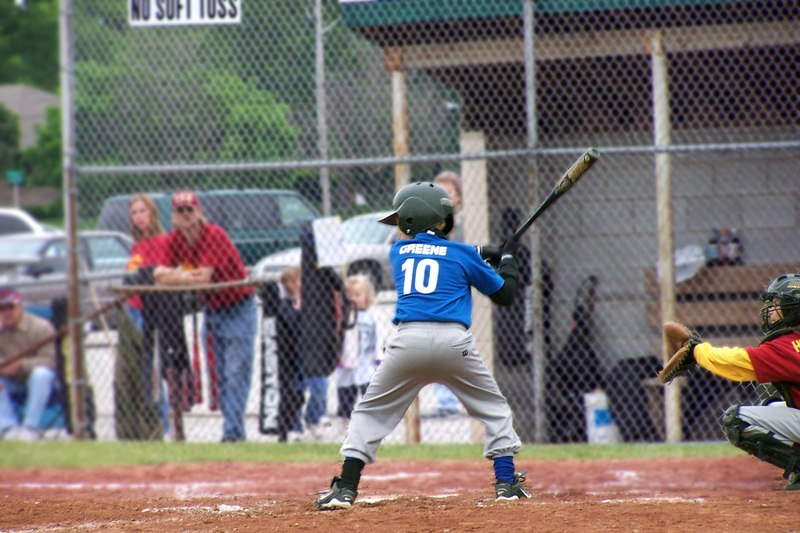 Still, it was only T-Ball (how hard could that be) and it was my neighbor who was the head coach. He needed help, so, as any good neighbor would, I readily assented to assist. But, then, the unexpected happened. Even at that age, my neighbor’s son was a natural athlete. (He would eventually be a heavily recruited college athlete and go on to coach Division I college sports.) Though normally too young to play in the next level up, his prowess at the plate and in the field made him an attractive addition to any roster in that higher league. So when he was called up, his father was called up too. If you’ve ever rode the current of Little League sports (or any youth organization, for that matter), you know once they’ve got you, they’ve got you. And they got me. As my son aged up through the higher leagues, so too did I. Each year I wore the cleats of head coach. Each year I feared moving closer to being exposed as a baseball fraud. That I knew nothing of the strategy and tactics of baseball became clear that final year. I had already found a willing volunteer to replace me as head coach the following year. All I needed to do was survive this one last go-around and no one would ever have been the wiser. Alas, by mid-season, I could sense the grumblings of the parents as our winless team wallowed in last place. Perhaps what angered the parents the most was their kids didn’t seem to care. They, like I, knew apathy is the bane to success – in sports, in school, in work, and at anything else you do in life. Rather than get all worked up about losing, I made sure the boys had fun, laughed, and joked around. Yes, they knew the score. Yes, I made sure they didn’t care. The parents, no doubt, feared I was encouraging bad behavior within their precious little gems. Now, remember, my son was included among this collection of jewelry. Like the rest of the team’s parents, I most assuredly did not want him to learn bad habits. The challenge, of course, what I, myself, never learned good baseball habits. My quiver, though, was not quite empty. 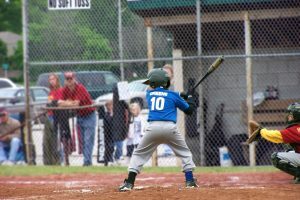 It wasn’t as though I didn’t know how to play baseball – I did – but, perhaps more importantly, I had learned through other endeavors the importance of quickly identifying the critical path to success. Sure, this was something practiced in fields far removed from baseball (and sports in general). Nonetheless, it was a template I knew, a template I was comfortable with, and a template which seemed to work consistently. Have Fun – Yep, that’s what it’s all about. It’s not about the trophy you get for winning the championship. It’s about the camaraderie you build among the team – the coaches, the players, and the parents. It’s about the memories your share – the highs as well as the lows – and knowing everyone else felt exactly as you did at exactly the same time you felt it. Finally, it’s about the smiles each lesson brings. The boys might not have realized the sense of those lessons at the time. Like a hidden Easter Egg, however, as they reflect on that wonderful season with their friends and family later in life, the true meaning of those events reveals itself. During that final season, it was critical we have fun from the very beginning. Not because that was the time when we were busy losing and most needed to think positively, but because it set the tone for the rest of the season. Despite our winless start, we won nearly every game in the second half of the season. That gave us a middle seed, so we began the playoffs against evenly matched teams. Because the first half of the season taught the boys to focus on having fun rather than winning, they were non-plussed when they fell significantly behind that first play-off game. This unabashed confidence apparently caused the opposition to question their own confidence. That may or may not have helped us come back to win. This win generated so much positive thinking that we then cruised through the play-offs. When the time came to play the championship game, I could detect the normal jitters such important games bring. To alleviate this, I spontaneously interrupted pre-game festivities. I unexpectedly rose up, saying we couldn’t start without first singing the national anthem. Since there were no volunteers, I stepped forward and sang our country’s song. Very poorly. But with enthusiasm. Having that much fun wasn’t enough to make us win, but it was enough to make us end regulation in a tie after six innings. That put us in a bind. Knowing the rules said no boy could pitch more than three innings, it meant I had to replace the pitcher. We only had two consistent pitchers, and I had used them up. I knew they were our two best pitchers because I tested them in the first half of the season when the games didn’t count. There was another boy who, if he could trust himself, could pitch well. He was also our second-best outfielder. (Our best outfielder was also our best pitcher). Without hesitation, I switch the two boys. The best pitcher went to left field and the left fielder came in to pitch. I asked the new pitcher how he felt coming in from the bullpen. I could tell he was nervous – this was the championship, mind you. I reminded him how uncomfortable he was when he pitched for the first time earlier in the season. I then reminded him how well he did. He said he was ready to go. We scored one run in the top of the seventh. In the bottom, our new pitcher got the first two batters out. The next one hit a long double to right field. The fourth batter came up. He was their power hitter. He slammed a sure-thing run scoring line drive to left field. Only thing, our best pitcher – and best outfielder – took a perfect read on the ball and made a spectacular catch. And true to the idea of having fun, I let the boys poor sticky Gatorade on me. Well, truth be told, no and yes. No, I don’t know anything about baseball. But, yes, I did know exactly what I was doing.